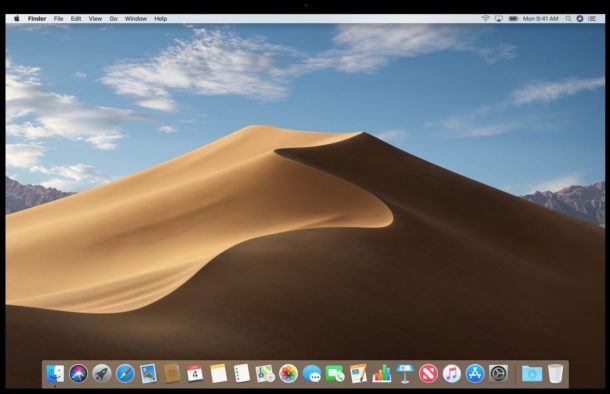 Apple has announced the next version of Mac OS system software, dubbed macOS Mojave. MacOS Mojave includes a variety of new exciting features like Dark Mode, new adjustments to the Finder, improvements to screenshots, an all new redesigned Mac App Store, and more. Let’s take a quick look at some of the new features coming to macOS Mojave (10.14). 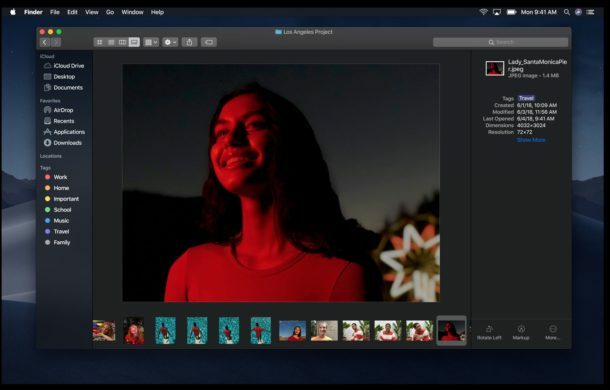 MacOS Mojave now has full Dark Mode support, which shifts all bright colors on screen to darks, with whites and light grey becoming blacks and dark greys, aiming to help you focus on your work, as well as improve working in low lighting environments by being easier on the eyes. Dynamic Desktop shifts your desktop background throughout the day. In the demo of this feature, a background picture of a desert landscape slowly changed throughout the day much like it would in real life, with sun shifting colors on the sands from day to night. All of the contents of your desktop will automatically arrange into stacks, arranged by kind, date, and tag. Clicking on a stack expands the stack to show all files. This feature aims to prevent desktop clutter. Finder gains some new features and a new file view called Gallery. Gallery view includes a large preview section that can also display metadata of photos and take some quick actions to perform tasks like rotating an image or using markup. There’s also new capabilities with Automator actions to be used directly from the Finder, and Quick Look offers Markup tools. 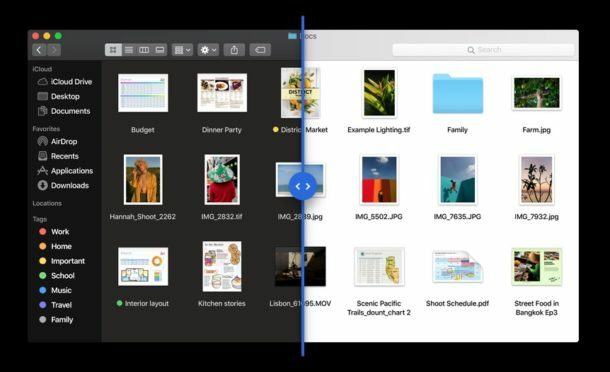 The ability to take screenshots has improved in MacOS Mojave, including a new feature that is similar to the Screen Shot preview in iOS that goes into the corner of the screen. Screenshots in MacOS Mojave also gives you a variety of new tools for taking precise screenshots as well as recorded screen captures. Continuity Camera allows you to access the iPhone camera from your Mac directly. Continuity Camera also allows you to use your iPhone camera as a document scanner that instantly imports the scanned images to the Mac. The News app has come to the Mac, allowing you to read the News apps stories and see the latest tabloid headlines in News app. The Stocks app from iPhone and iPad will now be on the Mac as well, allowing you to see markets information directly in the Mac application. 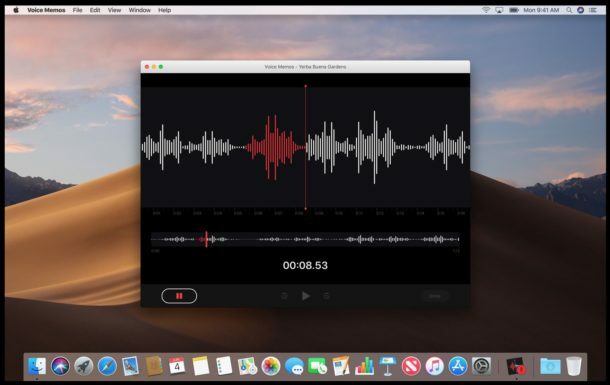 The popular Voice Memos app on iPhone will now come to the Mac, with syncing between the app on the iPhone, iPad, and Mac. The Home app of iOS arrives to the Mac, allowing you to toggle and use HomeKit utilities directly on the Mac, with Siri integration too. Apple has included a variety of new privacy and security features to the Mac. By default, the Mac will protect your location information, contacts, photos, calendar, reminders, camera, microphone, mail database, message history, Safari data, time machine backups, iTunes device backups, cookies, and more. Safari now automatically blocks third party trackers on the web, found in social sharing buttons and things like Facebook comment forms. 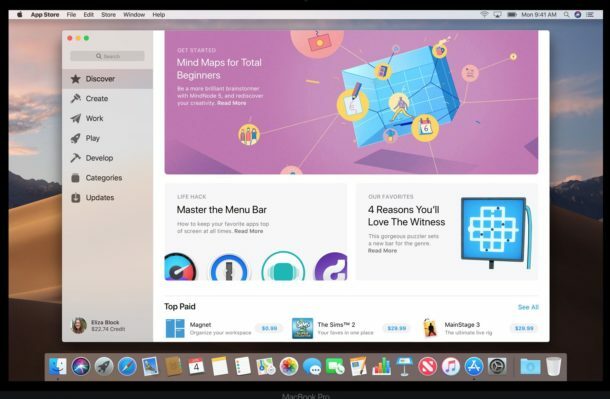 The Mac App Store gets some attention, and has been redesigned with an all new interface. There are a variety of new tabs in the Mac App Store that show off different types of apps, for creating, work, play, development, and of course your usual categories tabs. As before, Updates will allow you to update your Mac App Store software and macOS system software. The Mac will eventually be able to run some iOS apps, but that feature won’t debut until sometime in 2019. Is Apple merging iOS with macOS? Apple directly addressed the common question of “are you merging iOS with macOS” and the answer is….. No! So that settles that longstanding question, for the foreseeable future anyway. 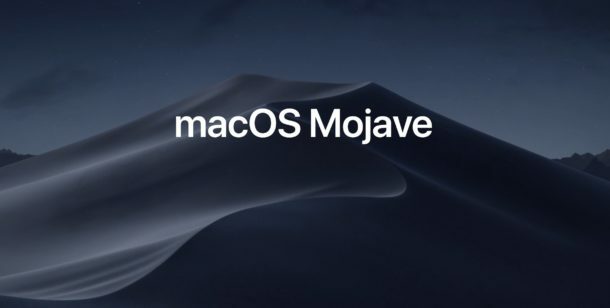 How to do you pronounce Mojave in macOS Mojave? Mojave is a combination of two native American words that is pronounced as Mo-ha-vee. It is not pronounced Mo-Javvy, not Mo-Jayv, nor Moj-ave or anything else, it is properly pronounced as MO-HA-VEE. Most Americans think of the Mojave Desert in southeastern California when they think of the word, which is quite hot and is the driest desert in the United States. The developer beta of macOS Mojave is available immediately, with a public beta test version coming soon. The final public release of macOS Mojave 10.14 will arrive in the Fall. Separately, Apple also debuted iOS 12 for iPhone and iPad. So they aped the iOS app store in MacOS Mojave, and they didn’t fix iTunes. Got it. Pretty though. So most of what they are introducing hopefully has an off switch to it. Looks more like a waste of room. Agreed. It seems they make change for the sake of change and not helpful. I just want a workhorse, not bells and whistles. macOS Mojave is the last version of macOS to support any 32-bit apps. After that, none will work. That’s what I read earlier, if someone has other info do share. I heard this is going to be a “Snow Leopard” type release where they really concentrate on performance and bug fixes vs bloated features. …like High Sierra was a ‘performance fix’ for Sierra, HA ! Any news on AFPS? When testing I found it to be much slower than HFS+. Is there a list of compatible devices? Shifting Sands: can you say “bells & whistles”? Desktop Clutter: as if I couldn’t do this myself. Gallery: could be quite useful. Screenshots: say Hello to Opera again. Continuity: need one to have the other. News App: okay, but why? Voice Memo: I hear “bells & whistles” again. New App Store: about time! You know it’s a meh release when the “exciting” feature is Dark Mode. This is the Jony Ive era – function follows form. And it still won’t be able to do stuff I was able to do in OS 9. Great!! !